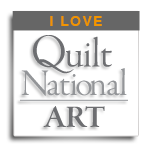 Quilt National is moving in September. 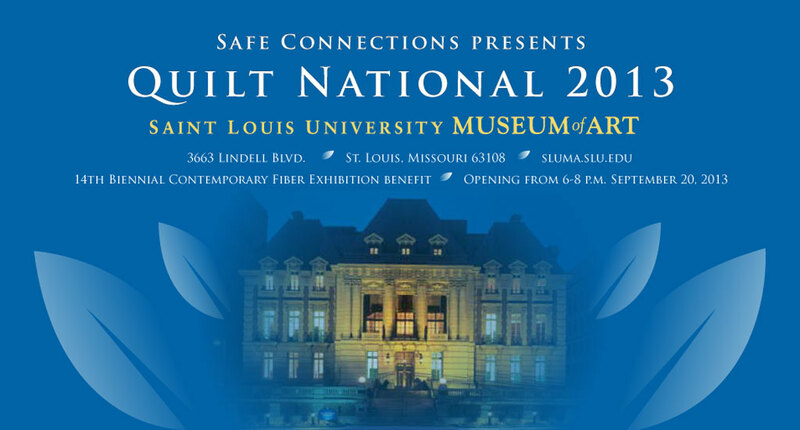 The show opening is on Friday, September 20 at the Saint Louis University Museum of Art, it will serve as a fundraiser for Safe Connections, a nonprofit group working to end domestic violence and sexual assault. The Quilt National show directly supports education, intervention and counseling services to address domestic and sexual violence in the St. Louis area. Museum Hours: Wednesday – Sunday 11 a.m. – 4 p.m. 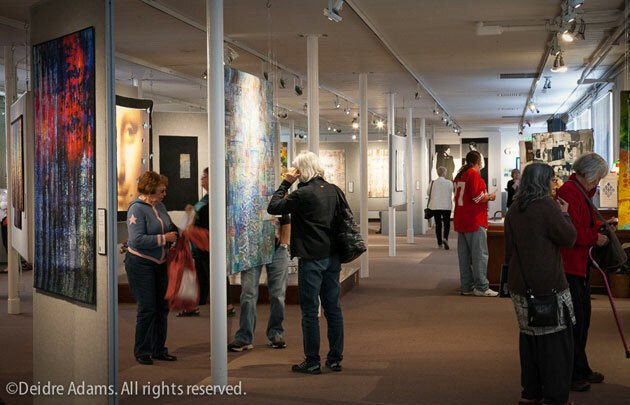 Since 1988, this biennial exhibition has been delivering the best of international fiber art to the St. Louis region. This year they are featuring 84 art quilts, selected from 851 entries sent from around the world. Entries were received from 16 nations, five Canadian provinces and 44 U.S. states. The St. Louis presentation of Quilt National offers the only opportunity outside of Ohio to see virtually the entire exhibition (84 of 85 pieces) before it is broken down into small collections for further touring. This year, two Missouri artists had works selected for the show, St. Louis artist Luanne Rimel and Pam Rubert of Springfield. Luanne will make a presentation about her work on Thursday, October 10 from noon – 1 pm in the gallery. Check out this exquisite coverage of Quilt National and Luanne Rimel in Splendid Magazine. Founded in 1976, Safe Connections works to end domestic violence and sexual assault while helping survivors reclaim their lives. Safe Connections provides no-cost individual and group mental health therapy to women and teens, a crisis hotline for the entire St. Louis community and education to students in middle school through college region-wide.